B.A. Ramirez & Sons Ornamental Iron Works, Inc. provides Point Loma customers with high quality, comprehensive iron work at very competitive prices. Our range of iron work includes ornamental and wrought iron fences, gates, enclosures, doors, railings, handrails, guardrails, and window guards, all of which are custom-designed, fabricated and installed by highly experienced craftsmen. Our experts have been hand-forging, welding, and installing iron structures for over 30 years and know how to meet the expectations of our diverse clientele. At B.A. Ramirez & Sons, we perform all work to the highest of professional standards, and aim to give you the best results for your budget. We comply with current building codes and ADA standards, and back our steel construction with a two-year labor and materials warranty. To ensure that our iron fences, gates, doors, railings, and window bars last as long as possible, we use moderate to heavy-grade steel, apply Old World craftsmanship, and offer three types of anti-rust treatments (metallization, galvanization, and powder coat finishes). Additionally, as part of our process, we will provide expert recommendations on every design. By carefully considering each design before we begin, we are usually able to correct possible weak points, find ways to achieve the client's goals for less money, and produce a more balanced look to better coordinate with its surroundings. Because of our commitment to excellence, a large portion of our new business is the result of satisfied clients referring us to their friends, family and business associates. Call licensed, bonded, and insured B.A. Ramirez & Sons Ornamental Iron Works, Inc. today and discover why we are considered Point Loma's best value for custom iron work. Consultations are free. At B.A. Ramirez & Sons Ornamental Iron Works, Inc., we can design, build, and install iron perimeter, pool, wall-mounted, and security fences for properties of any size in Point Loma. We have been building and installing attractive, affordable, and custom-made iron fences for Point Loma commercial and residential customers since 1980, which means that you are working with experienced fencing experts. When you choose B.A. Ramirez & Sons to craft and install your business or home fence, you are certain to be delighted by our affordable rates, the quality of our craftsmanship, and our superior customer service. We also offer repairs on all types of iron fences. Whether your fence has been subject to an accident, or whether it is simply time to have your older iron fence refurbished, our experienced, expert craftsmen can help. Contact us today for a free online estimate on iron fencing installation or repair services for your Point Loma home or business. If you're looking to enhance the look of your balcony, staircase, or walkway, then choose B.A. 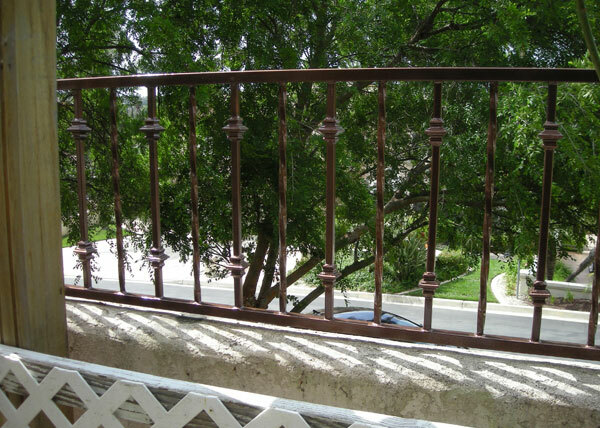 Ramirez & Sons Ornamental Iron Works, Inc.. We can design, fabricate, and install a custom iron railing at an affordable price for any application in Point Loma. We have more than 30 years of experience hand-forging and installing balcony railings, staircase railings, guardrails, and handrails, and have thousands of satisfied customers. You can rest assured that we will build your railing in strict compliant with municipal building codes and ADA standards, so you need to only worry about achieving your vision. Because our iron workers have decades of experience each, they can realize any railing design, from decorative balusters to intricate scrollwork. Contact us today and set up a free onsite design consultation and online estimate. At B.A. 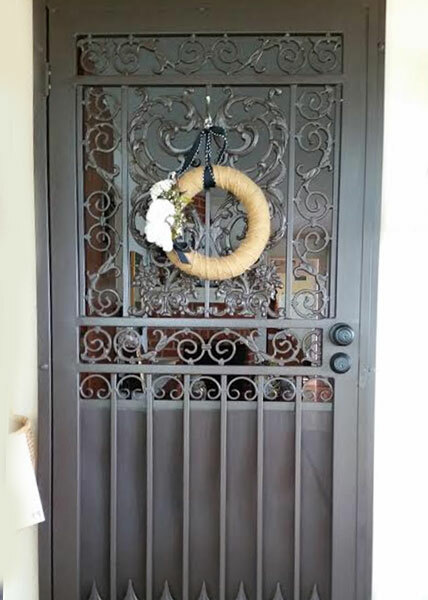 Ramirez & Sons Ornamental Iron Works, Inc., we can design, craft, and install almost any type of iron gate you desire for your Point Loma home, commercial property, or residential community. Our iron pedestrian and driveway gates can be made in any design, ranging from the strictly functional to the highly decorative, for our Point Loma customers. Because gates are important access points for entryways, yards, pools, pastures, private communities, industrial properties, and commercial buildings, we take great care to address any possible weaknesses in your design and ensure that you select the right hardware and equipment. For example, with our motorized iron access gates in Point Loma, we generally recommend gate operators and access control systems from RamSet, DoorKing, and Liftmaster, because they are the most reliable and come with some of the best warranties in the industry. Moreover, because every iron gate is custom made, you are certain to get the gate that reflects your vision and that meets (or exceeds) your expectations for craftsmanship. Call us today for a free consultation. With over 30 years of experience, B.A. Ramirez & Sons Ornamental Iron Inc. knows how to provide its Point Loma customers with beautiful, lasting, and highly reliable automatic gates. As each gate is custom built, we start with an on-site consultation, where we discuss your goals and budget; assess your property; and take any necessary measurements. We then develop your gate's design concept by presenting options that will help your gate not only look more cohesive with its surroundings, but also provide the level of privacy, security, convenience, and safety you are envisioning. To achieve the most reliable and long lasting results, we typically build our automatic gates with the industry's most trusted brands: DoorKing, All-O-Matic, Linear, Elite, RamSet, and LiftMaster. While we will be happy to install any gate operator or access control system of your choice, these brands are the ones that we know offer our Point Loma customers the best return on their investment. To learn more, call us today and arrange for a free on-site consultation. Install iron security window guards and/or iron security doors at your Point Loma property without sacrificing the beauty of your building's exterior. Call us today to find out about the attractive, competitively priced wrought iron security window guard and door options we offer Point Loma residential and commercial customers. We have a proven track record of providing effective security solutions to our valued Point Loma customers and specialize in a wide range of customizations. We work with both ornamental and wrought iron that is heated and formed to create sturdy frames, pickets, and scrollwork. Pickets can be as simple or ornate as you'd like them to be. Additionally, we can incorporate cast iron designs; fiberglass or steel screen backings; quality hardware; electronic access control systems; and more. Call B.A. Ramirez & Sons Ornamental Iron Works, Inc. today to discuss your home or business security iron work needs in Point Loma. Since 1980, B.A. 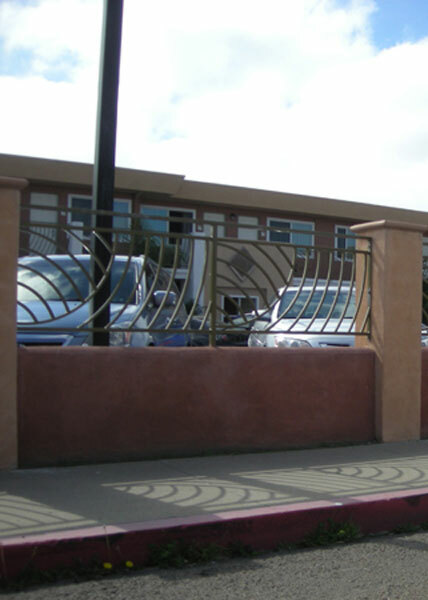 Ramirez & Sons has created beautiful, functional, and expertly-crafted iron gates, fences, railings, security doors, and window guards at affordable prices for our thousands of satisfied commercial clients throughout San Diego County. Iron is the optimal choice to use for the fences, gates, railings, doors, and window guards in your Point Loma commercial building: it is strong, lasting, highly versatile, and exudes Old World elegance. Whether you need a fence to enclose your property's perimeter or a modern iron door with a fiberglass or perforated steel screen backing, we will design your iron piece to perfectly meet your needs. In addition, because our iron fabricators have decades of practice realizing all types of designs, you can ensure that your ironwork with improve your property's security without sacrificing your building's beauty. Call us today. We offer free design consultations and online estimates. At B.A. Ramirez & Sons Ornamental Iron Works, Inc., we are San Diego County's premier ornamental iron contractor. We are proud to provide Point Loma homeowners and residential communities with high quality ornamental and wrought iron fences, gates, railings, doors, and window guards at affordable prices. Our custom iron works add classic elegance while effectively meeting each client's functional goals. These pieces can be used to define a property, improve security, discourage trespassers, add privacy, upgrade the appearance of a home, or elevate the look of a balcony or staircase. No matter what type of iron structure you need, we'll work closely with you to develop your design and ensure you get the most of our of your budget. All of our residential ironwork is forged and welded at our local facility, where we also thoroughly grind, sand, and buff each component to achieve a flawless finish. Call today to learn more. We look forward to discussing your residential iron work needs. Call us today for the best value in hand forged iron fences, gates, doors, railings, and window guards in Point Loma. Our experienced professionals look forward to working with you to complete your Point Loma home or business ironwork project, or to provide repair and replacement services for your iron fence, gate, door, railing, or window guard. D18 This residential steel entry door in Point Loma, CA incorporates decorative castings in the upper half and spears and scrolls in the lower half. The lower half also has a screen material for added privacy. The steel door is finished with a bronze powder coat finish. F17 BA Ramirez & Sons completed this commercial steel fence installation in Point Loma, CA. This modern steel fence features ¾" steel tubing bent and shaped to give the fence a "wave/ocean" theme. Since the fence was close to the ocean, we hot dip galvanized the steel before giving it a powder coat paint finish.